Or at least it won’t be easy to find. Most exchange bureaus won’t stock Colombian pesos (except, perhaps, in neighbouring countries like Venezuela and Ecuador) as it’s considered a volatile currency, with the exchange rate fluctuating on a daily basis. To give you an example, when I moved to Colombia in 2013, there were $2,800 pesos to £1.00. At the time of writing, £1 will buy you nearly $4,000 pesos, and at one point at the end of 2015, it went up to $5,000 pesos. The best thing to do is bring dollars or euros to exchange in Colombia (these are the currencies that will allow you to get the best exchange rates), or withdraw money from banks using your card. 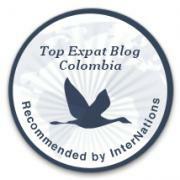 And needless to say, make sure you exchange all of your leftover Colombian pesos before leaving the country! There are also two versions of all of the coins (except the 1,000 pesos coin). Generally, the older version is a bit larger, and the newer versions are smaller and shinier. Both old and new are still accepted everywhere. Notice that on the notes above, they don’t always include all the zeros. For example, the new 2,000 pesos note just says “2 MIL PESOS” using the Spanish word for thousand. Both 50,000 pesos notes say “50 MIL PESOS”. This could be confusing, especially if you’re wary of being conned or short-changed. The following coins exist in Colombian currency: 50 pesos, 100 pesos, 200 pesos, 500 pesos, 1,000 pesos. The following notes exist: 1,000, 2,000, 5,000, 10,000, 20,000, 50,000, and the newly released 100,000. I recommend trying to break a 50,000 note whenever you can (restaurants, supermarkets) as many shops will ask you for something smaller if you’re buying something cheap, and taxi drivers HATE being paid with 50,000! The 100,000 note is new and there may be establishments that don’t accept them, so again, I’d say break them whenever you get a chance (and always check your change!). Have I forgotten anything? Let me know in the comments section below! Thank you for all those info. Very useful. I always want to have some change before leaving Europe just in case and it is not always possible unfortunately! There is clearly fees with ATM and the offices at the airport always apply unfavourable rate. Wow that’s excellent! We need to spread the news about this app, it’ll be useful for so many people! Thanks for sharing!